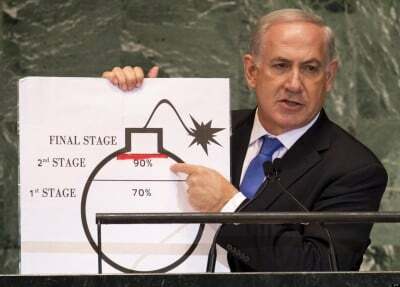 Netanyahu’s Likud Zionism is a political dogma inherited from his father who for many years was the right-­hand of a former Russian by the name of Vladimir Zhabotinsky, the founder of the Betar Movement and commander of the miltant Irgun Zvai Leumi (IZL) underground organisation of the 1940s that bombed the King David Hotel in Jerusalem, killing 91 mainly British personnel, in an effort to end Britain’s Mandate over Palestine. Today’s Likud Party is, of course, the direct descendent of that Irgun Movement. Likud’s brand of Zionism is anathema not only to most Jews in the Diaspora but also to the majority of Israelis. Netanyahu himself is a minority politician who polled only one third of the vote in the last election but who now heads an unstable coalition. It is this coalition that is determined to turn the Israeli state into an indigenous­-Arab­-free, Zionist fortress isolated from political and democratic reality. The consensus, however, is that this current, right­ wing administration will eventually be replaced by a moderate, centrist one willing and anxious to collaborate with the international democratic community to establish a free, independent, Palestinian state and an end to illegal settlements and land­-grabs. That time cannot come soon enough but in the interim the world will have to withstand the ghetto mentality of Israel’s current political incumbent and his influence over the US congress who continue to supply him with the bombs and killing machines that enables him to stay in power.